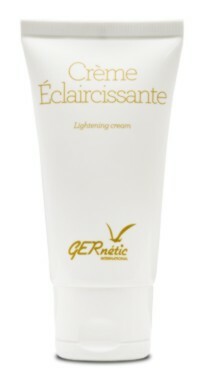 If you want to lighten your complexion, this cream, extremely rich in vital and moisturising elements, is made for you. Designed for all darker complexions, the plant extacts halt the synthesis of the cutaneous pigment melanin, slowing down browning of the skin and the formation of patches. 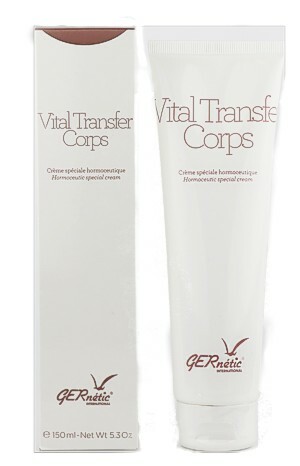 The regenerating and anti-free radical active principles provide gentle activity deep-down within the epidermis. Incorporating a sun filter, Crème Éclaircissante is a revitalizing and nourishing cream designed to lighten the complexion, pigmentation patches and freckles. Its regenerating action re-programs normal melanin production. This cream offers hydration activity rich in vital elements derived from lactic fermentation filtrates and from plants inhibiting melanin synthesis. Morning and/or evening, apply a very small amount all over the skin.